California car dealers should talk to their attorneys about overtime exemptions. Yesterday, the United States Supreme Court held that service advisors at car dealerships are exempt from the Fair Labor Standards Act (FLSA) overtime pay requirement under an exemption for any “salesman, partsman, or mechanic primarily engaged in selling or servicing automobiles …” (Encino Motorcars, LLC v. Navarro, No. 16-1632 (April 2, 2018)). Auto service advisors at a Los Angeles Mercedes-Benz dealership sued alleging that the dealership failed to pay them overtime when they worked more than 40 hours per week. 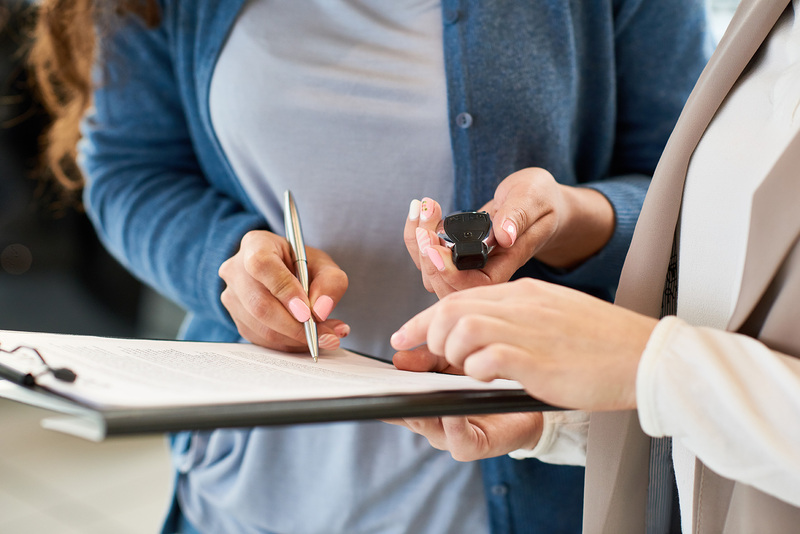 The dealership argued that a service advisor is an exempt “salesman” under the FLSA; while the service advisors don’t sell vehicles, they do sell vehicle repair and maintenance services to customers. In fact, several courts had applied this exemption (29 U.S.C. sec. 213(b)(10)(A)) to service advisors. The dealership sought to have the FLSA claims dismissed. The Ninth Circuit, however, broke with these other courts and ruled that the FLSA exemption did not include service advisors, and the advisors were entitled to overtime pay. In summary, the Ninth Circuit found that the term “salesman” only applied to those engaged in selling vehicles and the terms “partsman” and “mechanic” applied only to employees engaged in servicing vehicles. Primarily engaged in servicing automobiles because they are integral to the servicing process — meeting with customers about concerns, suggesting services, selling accessories or replacement parts, recording service orders, explaining any work done and following up with the customer. The Court also rejected the notion that the FLSA exemptions should be narrowly construed against employers. Narrow construction of exemptions, which results in less exempt workers, has long been a standard principle of FLSA interpretation. The majority stated “[w]e reject this principle as a useful guidepost for interpreting the FLSA.” Instead, the Court ruled that FLSA exemptions should be given “a fair reading” rather than a narrow interpretation. This case has come before the Supreme Court twice, and, for the second time, the Court has rebuffed the Ninth Circuit. In 2016, the Supreme Court ruled that the Ninth Circuit had inappropriately relied on a 2011 Department of Labor (DOL) regulation to find the service advisors were not exempt. The Court held that the 2011 DOL interpretation was issued without a “reasoned explanation” and should not be given deference but didn’t decide the ultimate question of whether the service advisors were exempt. The Court remanded the case to the Ninth Circuit for further proceedings. After the remand, the Ninth Circuit again held that the service advisors were not exempt from the FLSA overtime pay requirement. The car dealership brought the case back to the Supreme Court which issued yesterday’s reversal and conclusive ruling that the service advisors are exempt. Now, the case will return again to the Ninth Circuit for a decision consistent with the Supreme Court’s holding that the exemption applies to the service advisors. The service advisors originally sued under both the FLSA and the California Labor Code. Rather than bore you with procedural details, suffice it to say that the state law claims were no longer at issue before the Supreme Court. California courts uphold this construction. If you are a car dealership in California, take time now to talk to your legal counsel. Don’t reclassify your service advisors to exempt and stop paying overtime before consultation! Employers unintentionally may violate employment laws, simply by trying to provide some flexibility for an employee, save money for the company or just be nice. Be aware of The Top 10 Things Employers Do to Get Sued, a free white paper from CalChamber (members can download it here). Not a member? Learn about the benefits of membership.